he story is a familiar one: constituents are told that they will be better off, that they will save money and be healthier  if the right piece of legislation passes. The Mental Health Parity Amendment is the latest version of this story. To hear certain congressmen tell it, the amendment would simply have mandated that mental illness be treated the same as physical illness and injury for insurance coverage purposes. Such an arrangement is only fair, as Senator Nancy Kassebaum put it, and would purportedly result in benefits to all insurance-holding citizens. The truth, however, bears no resemblance to this. And, by and large, Americans are unaware that any such amendment will cost them dearly  while lining the pockets of the psychiatric industry. Indeed, the legislation itself was purchased  in the most underhanded of ways  with that outcome in mind. With the recent defeat of the mental health parity amendment to the Kassebaum-Kennedy health insurance reform bill, Senate Bill 1028  championed by Senators Pete Domenici (R-N. Mex.) and Paul Wellstone (D-Minn.)  it is now more important than ever to know what this piece of psychiatric politics is all about. For although the current version of the amendment died in a Senate conference committee in late July, backers of the legislation insist that this was only the first step, and vow that they will persevere. With good reason, insurance companies today restrict psychiatric coverage. Many set annual limits of 20 outpatient visits and 30 days hospitalization. Hospital stays for medical illness and visits to a physician, on the other hand, are generally unlimited. As described by Caplan and other sources, diagnoses are neither scientifically tested nor proven, but voted into existence by the consensus of an APA committee. NO GRAVY TRAIN: The American Psychiatric Association failed in its bid for a free ride on the health insurance reform bill sponsored by Senators Kennedy and Kassebaum. One such consensus-created mental illness was homosexuality. But after pressure was brought to bear on the APA, the committee reversed itself, canceling this mental illness. 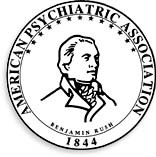 The psychiatric industry  spearheaded by the APA  not only manufactures mental disorders and diagnoses at will, it seeks congressional imprimatur on this fraud in the form of compulsory subsidization of the psychiatric industry by insurance companies. The APA, its front groups such as the National Mental Health Association and its political mainstays  Senators John D. Rockefeller IV and Harris Wofford, among others  promote that parity will only boost insurance premiums by 2.5 percent per member per month and that it will not break the back of health insurance. To understand the nature of those claims, it is necessary to examine how mental health parity became an issue in Congress and the damage already done in states where mental health parity was pushed through under the guise of health care reform. Given the multitude of horror stories of psychiatric misconduct depicted in the media and the stolen billions stuffed into psychiatrists pockets, how did mental health parity ever become an issue before Congress? In the early 1980s, psychiatric special-interest groups pressured many state legislatures and U.S. Congress into mandating coverage for mental illness. An unprecedented surge in the construction of psychiatric institutions followed. The results of this proliferation: billions in psychiatric fraud, hundreds of thousands of traumatized individuals, legions of forcibly incarcerated elderly, untold numbers of deaths and health care costs pushing the nation toward bankruptcy. In 1996, well-funded psychiatric groups, including the Coalition for Fairness in Mental Illness Coverage  consisting of the American Psychiatric Association, the National Mental Health Association, the National Alliance for the Mentally Ill, American Managed Behavioral Health Care, the American Psychological Association and the National Association of Psychiatric Health Systems  stepped up the push for mental health parity. Key players included the Washington Business Group on Health, headed by Mary Jane England, also the then-president of the American Psychiatric Association, and the Robert Wood Johnson Foundation (RWJ)  an extremely important player in this game. RWJ, with the Henry J. Kaiser Family Foundation, among others, had profound influence on the Clinton administrations White House Health Care Task Force, and in simultaneous efforts by many states to enact comprehensive health care reform laws compatible with the requirements for states found in the Health Security Act, popularly known as the Clinton health care plan. Starting in the early 1980s, RWJ had the goal to erase any distinction between mental illness and medical illness. At that time, this was called decategorization. Obviously, if the medically unproven, subjective and broadly applicable mental disorders of psychiatry could be redefined as medical illness, parity would automatically follow. The efforts to create a national need for the Robert Wood Johnson version of health care reform was initiated in 44 states, spearheaded by RWJs Mental Health Services for Youth Program. The prime motive of RWJ is universal health coverage, also known as comprehensive health coverage, through government-subsidized insurance. Universal health coverage institutes mental health parity through radical legislation which would ensure that mental illness receives equal coverage with medical illness. The process of obtaining universal health coverage in targeted states began with mental health programs for youth. FRONT WOMAN: Lobbyist Mary Jane England floats on a sea of psychiatric and pharmaceutical dollars. In 1989, RWJ initiated large direct grants to state agencies of the Commonwealth of Kentucky. The initial grant went to RWJs Mental Health Services Program for Youth, a pilot project to establish financing and psychiatric delivery systems for children and youth. In Kentucky and elsewhere, this program enabled RWJ to install in state governments the means to influence legislation. RWJ granted a total of $2.5 million to Kentucky. The children, however, didnt see a penny of the funds. Every cent went toward leveraging more state and national taxpayer dollars via Medicaid to be spent on mental health. Per RWJs grant conditions, the state had to match every RWJ dollar with five of its own. RWJs Mental Health Services for Youth Program was intended to create an infrastructure for the use of Medicaid and insurance dollars for the delivery of mental health services for children and adolescents. It ultimately led to RWJ taking charge of health reform in Kentucky  including the passage of Kentucky House Bill 250  as well as other legislation which required the state to expand private insurance coverage for mental health services for youth. It can be seen from the mental health parity amendment that only through forcing insurance companies and their policy holders to foot the massive bill can mental health parity be obtained. This is what happened in Kentucky. RWJs Mental Health Services for Youth Program captured taxpayer money and established mental health parity by mandating that insurance companies subsidize mental health. But Foundations are forbidden by law to influence legislation. RWJ had always answered no when asked if it does so on IRS form 990, the form foundations submit to the IRS concerning their activities. Regardless, in Kentucky RWJ requested and obtained House Bill 250: legislation in exchange for grant money. Once RWJs infusion of grant money into the state government began, state agencies showed their willingness to comply with RWJs demands. In 1992, state legislation, also known as House Bill 116, was produced as an evidentiary attachment to a request for further funding by RWJ in the amount of $908,734. The request, filed on March 12, 1992, showed that Kentucky mental health officials and other state executives  including the governor  and legislators were complying with RWJs requirements. And on August 30, 1994, the Department of Mental Health and Mental Retardation Services filed a progress report on the youth mental health services program. The highlights of the report included the statement that Statewide expansion of the Mental Health Services Program for Youth piloted in the Bluegrass area is complete. Legislation has ensured the continued existence of funds. Kentucky House Bill 250 was also special legislation requested and obtained by the Robert Wood Johnson Foundation in exchange for grant money. Vividly demonstrative of how pervasive the RWJ plan was, 44 other states applied for grants similar to Kentuckys in 1993. All were awarded the grants they requested. And all of these states were expected to rely on insurance company funds to increase distribution of doctors and psychiatrists. Although touted by the psychiatric industry as universal health coverage and health care reform, the result of the reform in Kentucky was that insurance rates went up more than 200 percent. It has been estimated that Kentucky increased its state debt through implementation of RWJ health reform policy by $2 billion over 1994 and 1995. House Bill 250 created a catastrophe for Kentuckys citizens; the resulting statewide furor resulted in the law being rescinded in April 1996. Similar patterns followed in Washington and Minnesota. There, too, health care insurance rates skyrocketed and drove the states into debt. After the Minnesota legislature passed RWJs plans into law, for example, insurance rates escalated and the number of people insured in the state dropped 14 percent. While pushing programs to reform health care in many states, RWJ also worked with the Clinton administration and members of Congress to write and get enacted the Clintons Health Security Act. The concept of a national health security act cannot be faulted. What most Americans do not know is that the Clinton Health Security Act was not crafted by the Clinton administration, but sprang fully realized from the Robert Wood Johnson Foundation. If enacted, it would have had the same disastrous effects for the entire nation as it had upon the finances of the states that took the bait, such as Kentucky, Wisconsin and Minnesota. Steven A. Schroeder, president of the Robert Wood Johnson Foundation, was a leader of the Clinton Health Policy Transition Team. Linda Aiken, a vice president for 15 years of the Robert Wood Johnson Foundation, served on both the Clinton Transition Team and the Presidents Task Force on National Health Care Reform. Mary Jane England, longtime RWJ Health Policy Fellow and psychiatrist, was a principal adviser on health care matters. England had served as program director for RWJs Mental Health Services Program for Youth in Kentucky, and as president of the American Psychiatric Association from May 1995 to May 1996. Today, as director of the Washington Business Group on Health, she lobbies for mental health parity. Such people were only the tip of the iceberg of RWJs involvement with the national health care task force. Ira Magaziner, White House Domestic Policy Advisor and leader of the task force, testified in a Washington, D.C., federal court that only federal employees were on the task force. But a case brought by Kentucky attorney Kent Masterson Brown told a different story. His suit brought about the release of White House documents created by or received by members of the secret task force on health care reform. Those documents revealed that of the nearly 2,000 people making up the task force, 1,000 were not federal employees. On top of the human rights abuses, parity enacted into law will mean higher insurance rates and increased Medicaid fraud, while our nation is driven closer to bankruptcy. Brown explained that while these people were being passed off as congressional staff, he could not find them on the congressional payroll. That tipped him off. Indeed, each of these six individuals appeared on the scene to work for Democratic Senators in 1993 and 1994. Each worked for senators on key health subcommittees while they were paid employees of the Robert Wood Johnson Foundation. They worked in the offices of Senators John D. Rockefeller IV, Harris Wofford, Bill Bradley, Dale Bumpers, and Edward Kennedy, and were identified as congressional staffers by Ira Magaziner, who, according to Brown, has longtime connections to RWJ. Senator Wofford was also found to be an RWJ fellow. Looking into other government agencies responsible for national health care reveals that Judith Feder, deputy assistant secretary of Health and Human Services for the Office of Planning and Evaluation, also worked for RWJ. The Clinton Health Security Act didnt pass, but the drive for mental health parity did not abate. When the Democrats lost the leadership of Congress, psychiatric special-interest groups led by Robert Wood Johnson shifted gears and began installing RWJ fellows in Republican senatorial offices. One RWJ fellow, Dr. Sally Satel, in charge of seeing mental health parity incorporated into the Kassebaum-Kennedy Bill, was placed in Republican Senator Nancy Kassebaums office. While no sweeping health care reform bill has been passed yet this year, the Robert Wood Johnson Foundation and psychiatric special-interest groups like the Coalition for Fairness in Mental Health Coverage continue to push states and the federal government to direct insurance companies and their policy holders to foot the bill for mental health parity. And RWJ-promoted universal health coverage serves as the means to this end. Private foundation money and influence led to health care reform in Kentucky, Wisconsin and Minnesota, to name but a few states which suffered disastrous consequences. Universal health coverage for children, i.e., subsidized care through mandated insurance coverage and leveraged Medicaid funds, was the foot in the door.